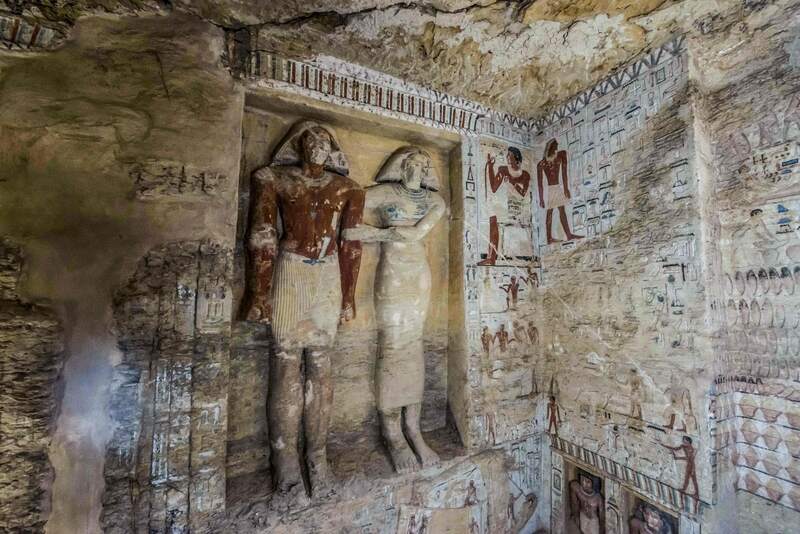 Archaeologists have discovered a more than 4,000-year-old tomb decorated with colorful drawings and sculptures hidden beneath the sands of Saqqara, the sprawling royal burial ground located in the desert near Cairo, Egypt. 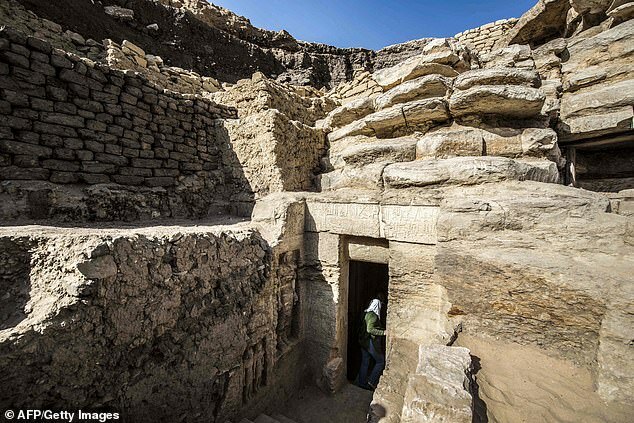 Hieroglyphs carved above the tomb’s door identify its owner as a man named Wahtye, who served King Neferirkare of the Old Kingdom’s fifth dynasty, which ruled from around 2500 to 2350 B.C. Other carvings spell out Wahtye’s lofty titles, including royal purification priest, royal supervisor and inspector of the sacred boat. The walls are adorned with various rare drawings and hieroglyphics. At a press conference announcing the tomb’s discovery, Mostafa Waziri, secretary general of the Supreme Council of Antiquities, called the find “one of a kind in the last decades,” National Geographic reported. 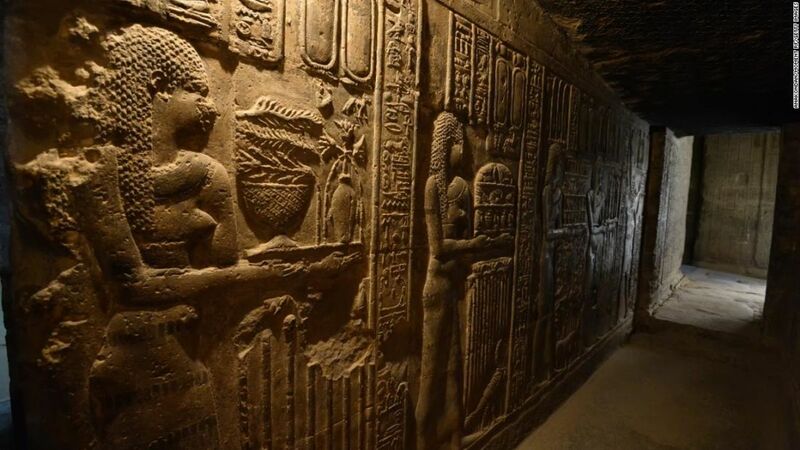 Vibrantly colored and well-preserved reliefs adorn the tomb’s approximately 33 foot-by-10-foot gallery, featuring images of Wahtye with his wife, mother and other relatives. 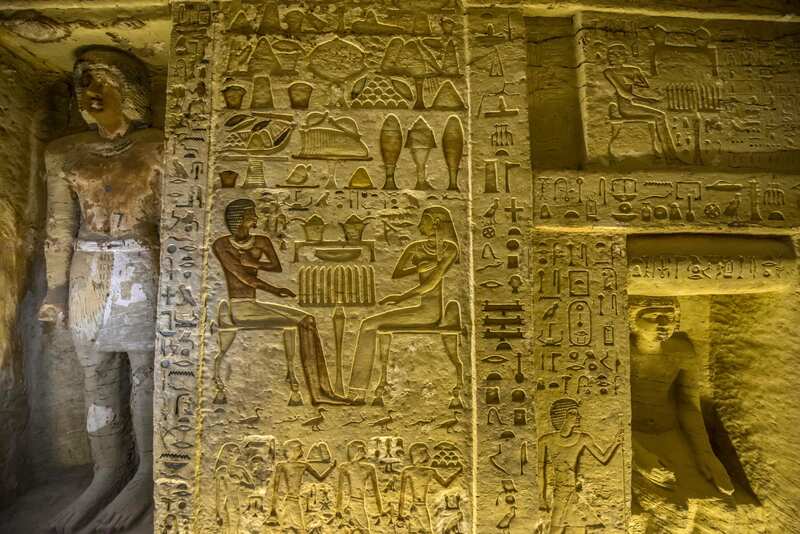 Scenes of musical performances, wine and pottery making, sailing, hunting and making funerary furniture also come to life in drawings on the tomb’s walls. 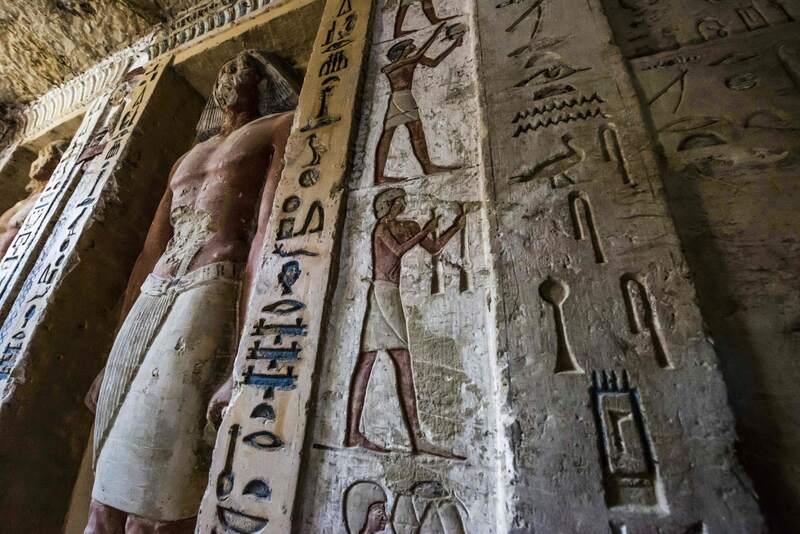 Vibrantly colored and well preserved reliefs adorn the tomb’s gallery. In addition, some 50 niches cut into the walls contain large, colorful statues cut out of rock. They depict the priest, his family members and an as-yet-unidentified figure shown either standing, or in the scribe position, with legs crossed. 50 niches cut into the walls contain large, colorful statues cut out of rock. Located south of modern-day Cairo, Saqqara served as a vast necropolis for Memphis, the capital of ancient Egypt during the Old Kingdom. It houses a number of pyramids, including the Step Pyramid, which dates to around 2650 B.C. and is the first known building to be made entirely of stone. Archaeologists found Wahtye’s tomb along a ridge that has only been partly excavated, and may still hold intriguing finds. They depict the priest, his family members and an as-yet-unidentified figure shown either standing, or in the scribe position, with legs crossed. According to CNN, Waziri’s team discovered the tomb in November 2018, but it took some time to get through its sealed doors. Excavations of the tomb itself have begun, and will focus on five shafts discovered inside. One of the shafts was open and empty when the team found it, but the other four were sealed, and it remains to be seen what they contain. 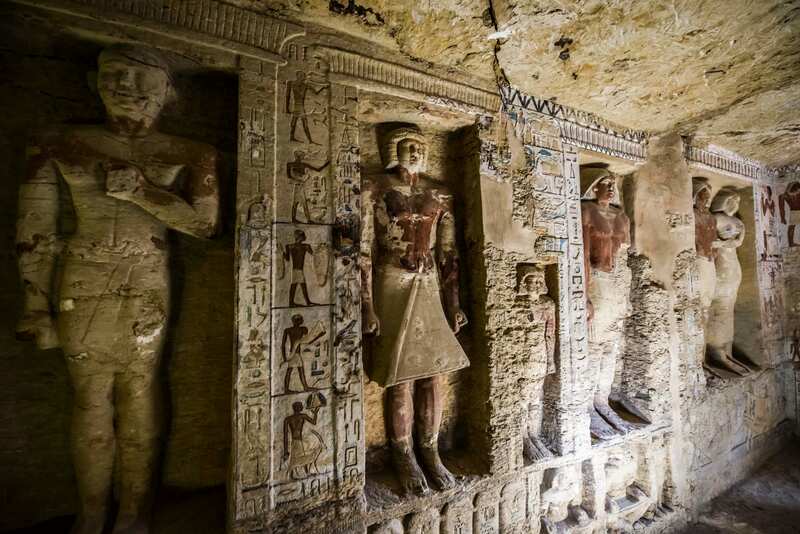 Excavations of the tomb itself have begun, and will focus on five shafts discovered inside. “This shaft should lead to a coffin or a sarcophagus of the owner of the tomb,” Waziri said, while the others might contain his valuable grave goods. Previous PostAfros, cornrows, dreadlocks and beyond: The ancient roots of black hairstyles.